A ‘minyan’ is a minimum quorum for public thrice-daily prayer. The quorum has been set by the Rabbis as consisting of a group ten adult males (although there are minority dissenting opinions on that 1). 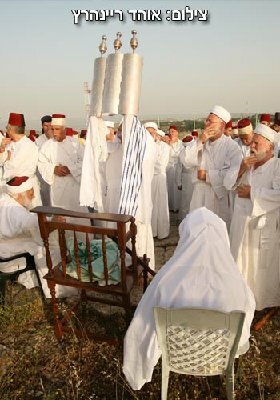 Karaite Jews traditionally did not have such a concept, but some eventually did adopt it, under Rabbinic influence. Karaite prayer, like its Rabbanite counterpart, is based on the verse in Micah ונשלמה פרים שפתנו, i.e. our lips are now substitutes for the daily sacrifices once offered in the temple, and since the latter sacrifices were done once at dawn and then again at dusk, so too were Karaite prayers established only twice a day. יעלים השם עיניו ממנו ויהיה מוכרח להבטיח שלא יעלים. ק”ב, י”ח) ובאמרו תפלתם בכינוי הרבים רוצה לומר תפילת כל אחד ואחד מהם. וכן הזהירו החכמים: “אל תפרוש מן הציבור”. Accordingly, most Karaite siddurim have a special תפלת יחיד section, for those praying alone. In the Spring of 1864, the noted Karaite figure, Abraham Firkovich, found himself in the Samaritan community of Mt. Gerizim in the city of Nablus, known in Hebrew as Shchem. Firkovich,was on a mission to buy as many hand-written manuscripts as he could get his hands on. He had his eye on the 1,300 priceless manuscripts housed in the Samaritan archives at this ancient and sacred site. Aside from the substantial sum offered by Firkovich to buy them (40,000 grush or 2,000 rubles) , the latter also concluded a treaty of sorts that spoke of the “common origin of the 2 peoples” and sought to cement it by instituting the mentioned commitment 2. This strange episode and a reproduction of the contract signed between the 2 parties can be found in in an article published in the Journal Studia Orientalia (1997, vol. 82, pp. 85-98), entitled SAMARITAN AND KARAIM COMMITMENTS TO MINYAN, ABRAHAM FIRKOVICH AND THE POOR OF TRAKAI by Tapai harvianinen, Haseeb Shehadeh, and Harry Halen 3. The authors note: It is surprising to note that he attempted to introduce the minyan among the Samaritans of Nablus and (later) the Karaim of Lithuania. His motives for such an attempt are unknown to us from the material which is in our disposal 4. They continue: at present we know on the basis of new material that there was a religious aspect to Firkovich’s acquisition, this can be referred to as the Samaritan’s commitment to ‘minyan’. Needless to say such a commitment rather than an agreement remained only on paper. The text is to be found in MS Sam XIV 43 in the Samaritan collection at the Firkovich Collection in St. Petersburg. The MS consists of two pages written mainly in Arabic. The first page (translated into English) contains the original version of the commitment. This version was most likely written by the Samaritan High Priest at that time, Jacob ben Aaron (1840-1916) in the summer of 1864 without seal imprints. The second page with slight but numerous variants was copied by Firkovich himself in square letters. Firkovich did not know Samaritan script well and copied it with help from Samaritans and Karaites in Jerusalem. בהתאספו ראשי העם כרותים אמונה ובאים על החתום על שתר התקנה הזאת להקים את התניאים האלה המבוארים בלשון ערבי…. There follows the Arabic text. By the Mt. Sinai covenant and the decrees of Mount Horeb, we, the Israelites, the inhabitants of the town of Nablus in the gathering of the leaders of the community are making a covenant and appending our signets to this document of regulation in order to fulfill those conditions which are clarified in the Arabic language. 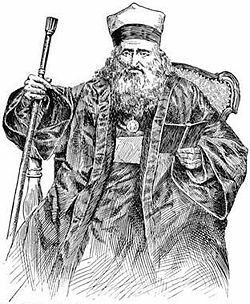 It is the eve of the blessed Tuesday, the 28th day of the 12th month of the year 1280 n (4-5 june 1864 a.d.) in the presence of his excellency, the Chief Rabbi (!) 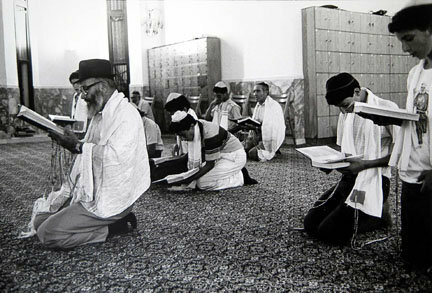 of our respected brethren, rabbi אלחכם Abraham Firkovich, in the town of Nablus while meeting his excellency and in the footsteps of negotiation and listening to his magnificent spiritual counsel all we who append our names and signets below have agreed to come the House of God (Synagogue) itended for prayers in order to perform the ritual prayer twice a day in the evening and in the morning in accordance with our duty and the practice of our fathers of long standing. And we will not be restrained from doing so without a clear excuse .And for this agreement of ours we have composed this as notification of what we have agreed upon in the presence of his excellency referred to on the date mentioned above. We ask God to give us success (in achieving) what he chooses and wishes and may God’s peace rest upon Moses b Amram. It is well and if one or 2 persons of the community come (to the Synagogue) then it will not be necessary for the priest to pray unless an assembly of ten persons at least (is present). With less than ten he (the priest), ought not to perform public prayers, and upon this agreement was reached. 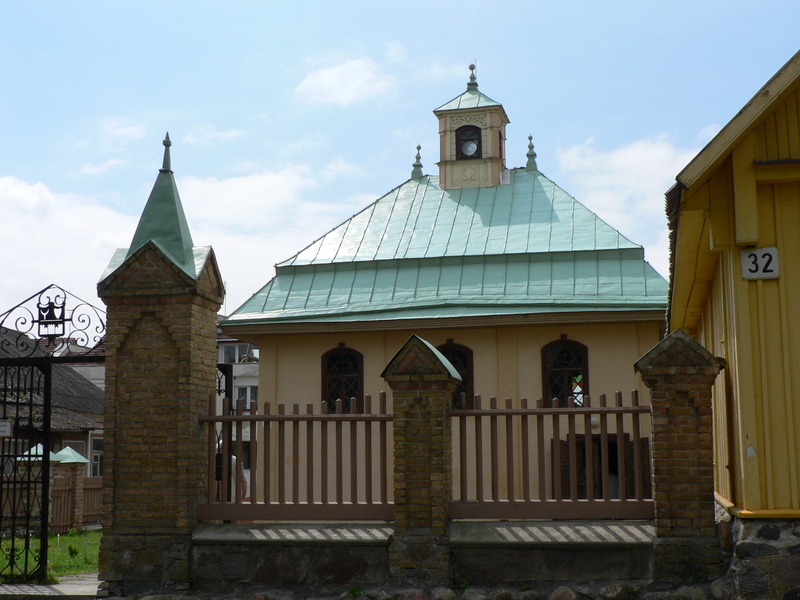 Six years later in July 1870, Firkovich, now aged 82 was paying a visit to Trakai in Lithuania. On Wednesday, the 6th of July , an agreement (taqnan) was proposed by him was signed by 31 leading members of the congregation. The contract 3 large pages written in Hebrew consists of an introduction and 30 clauses by which Firkovich intended to reestablish religious customs and interpretations as well as to revive the spiritual life of the congregation (which apparently was at an all time low)5. 1. see Minor Tractate Soferim 10:8, where it states that in Israel, seven or even six were deemed sufficient for a minyan. 2. It’s important to point out that in this move, Firkovich did not have the backing of the Karaite religious leaders of his time. In fact, even though there was some communication, and also degrees of influence, between the 2 communities, since the Middle Ages, many (if not most) Karaites did not consider the Samaritans, Jews (neither did the Samaritans themselves, as they considered themselves Israelites with some Levite representation). Dan Shapira (see following comment) aptly demonstrated that Firkovich did not himself believe that the origins of the Crimean Karaites were from Samaria, but used it as a ploy in order to ingratiate himslef with the Samaritan elders, and thereby gain the valuable collection of documents. Firkovich was also on a mission to divorce the Karaites from their Rabbanite brethren, a campaign, that would involve him forging tombstones and concocting outlandish theories about the origins of the Crimean and eastern Eurpean Karaites. This campaign (which is discussed elsewhere at greater length) would be crowned in success when the Russian Czar exempted the Karaites, under his dominion, from the harsh anti-religious edicts, considering the Karaites distinct from the Jews because of their supposed arrival on the Crimean Peninsula before the time of Jesus’ crucifixion and for their rejection of Talmud (‘the root of all jewish evil’). 2b. Although Firkovich eventually acquired the collection, it appears from his personal correspondence, that the Samaritans were quite unwilling to part with their manuscripts even in exchange for ‘much gold and silver’. Firkovich (in that same letter) expressed his hope that another tactic of his might actually work. Firkovich, no doubt, possessed extreme talent and charm, and his playing on the “common brotherly bond” between these 2 isolated and persecuted communities may have actually been the clincher that sealed the deal. Later Samaritan sources, speak of this episode with a degree of disappointment and regret. For instance, the Samaritan High Priest, Yaakov b Uzi (1889-1987) claimed that Firkovich pulled the wool over their eyes, and payed less than what it was worth (he also mentions something, which isn’t found in the documents here reproduced– namely that Firkovich proposed that Karaites would revere Gerizim, in addition to Jerusalem, as a holy site. It is unclear if he asked the same of the Samaritans-the Samaritans having been known to disregard, and sometimes even shun, Jerusalem). A more positive note is sounded in a Samaritan chronicle published in 1900, it speaks of a “wise man from the Karaite Jews in the Land of Russia who loved the Samaritans greatly”. That same chronicle also claims that a deal was reached between Firkovich and the High Priest at the time, to the effect that both communities ‘would follow the Five books of Moses alone’. This, of course, was complete bluff on Firkovich’s part, as he well knew that no Karaite would agree to that. Ephraim Deinard in his תולדות אבן רש”ף also claimed that Firkovich promised the Samaritans, to bring Karaite maidens, in order to ease the severe shortage of females among the Samaritans (a problem that exists among them to this day). (Member of Knesset, Zeev Elkin (Likud), studied Firkovich and his collection, and is preparing a more thorough investigation piece about this and other picante episodes in Firkovich’s life). 4. It ay be interested to point out that most Rabbinic Halakhists forbid the inclusion of a Karaite Jew in a minyan. Maimonides, in his published responsa פאר הדור categorically rejects their inclusion on the basis of the fact that they do not accept the validity of the sayings of the Rabbis-from whom we know the concept of minyan( one can only wonder, what Rambam would say in our case, where minyan was accepted-perhaps even considered binding). Interestingly, this relates to another matter regarding Karaite – Rabbani interaction. The known tale [the Chida writes it somewhere] of the clandestine meeting of the Jewish Leaders in the Old City of Jerusalem, who decided to meet in the Karaite Synagogue for the sake of secrecy. Upon entering they descended the stairs, and one rabbi noticed a step was loose. He moved the tile, and under it was a Rambam, Maimonides’ halachic work. The karaim had placed it there to cause the Rabbiis to read on the book of their revered sage, the Rambam. The rabbi [often believed to have been Reb Chaim Ben Attar – the Ohr Hachayim zy”a] cursed the Karaim of Jerusalem that they should never have a “Minyan”. The story goes on that whenever one child became of age to be counted in the minyan, one of the older would die, so there were always only 9 adult males in the community. Shmuel Ashkenazi in his latest volume [אלפא ביתא תנייתא דשמואל זעירא] discusses this story and it’s origins and versions. It would be interesting to research whether they had the custom of a minyan of 10 in the Jerusalem Karaite community. I had actually made a note of this story, but forgot to include it. Thanks for reminding me! This blog entry doesn’t really make sense. It starts with the inane observation that “Karaite Jews traditionally…”. Just to be completely accurate, let’s be clear: Jews have a tradition from Sinai that includes both a written document as well as an oral tradition; a Karaite is one who practices a religion based on the foundational principal that no information aside from the written Pentateuch was transmitted to man by G-d at Sinai. As such, the expression “Karaite Jew” is a contradiction in terms that makes about as much sense as “dark light”, “round triangle” or “towering midget”. One may religiously be either a Karaite or a Jew, but by definition, never both. But even after we correct the blog’s claim to “Karaites traditionally…”, we are left with an incoherent statement. That which makes one Karaite is particularly the not having of a tradition! The moment one has a tradition, he ceases to be a Karaite. Karaites follow what they deem to be the content of the written Bible. Since prayer quorums are not explicitly mandated in that document, its adoption by Karaites is an express rejection of their rejection of extra-Biblical tradition, and therefore by definition non-Karaite. It is not a Karaite “tradition” to pray with a prayer quorum, it is a Jewish tradition that Karaites deem invalid; to the extent Karaites have begun to ape select Jewish practices does not make those practices inherently or historically Karaite, nor does it amount to a “Karaite tradition”, which is an oxymoron. You seem to be lacking knowledge of Karaite history (indeed of Jewish history in general) and tradition. Look up סבל הירושה for starters. You also seem to be confusing Samaritans, who accept nothing but the Five Books, with Karaites who accept the entire Tanach. It would seem to be that the Jews have established their own criteria for what meets with their standards and what does not. Is there anything peculiar about that? Isn’t it up to, say, the Americans, to delineate who is an American and what is or isn’t idealogically American? Thus Karaite (and Samaritan, Christian, etc.) practices and beliefs are by definition non-Jewish, because they are at odds with the Jews’ traditional practices and beliefs. It would seem to be that Jews consist of various streams and schools. Just as the Shammaites and Hillelites warred with each other initially, but then eventually intermarried and never doubted each others Jewishness, the same goes for Rabbanite and Middle Eastern Karaites. From the Cairo Genizah we learn that there was plenty of intermarriage between the two communities. Their respective ‘rashei galuta’ (Exilarchs) recognized each other as stemming from the seed of David and usually treated each other with mutual respect, despite the vehement tones the debate between these 2 parties often took. “We will pay the bulls from our lips” is Hosea 14:3, not Micah. Is there a precedent to this? « Guest post in Honor of Purim: Was Mordechai a Zionist?